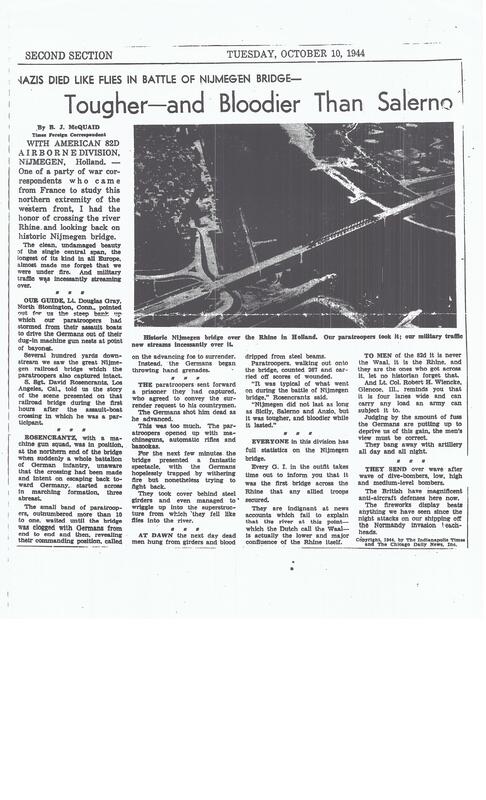 Article: What Happened to Uncle Dave? Now that we have closure on Uncle David's journey from MIA to RIP I was able to write an article summarizing this compelling story. You can access it from this link. What Happened to Uncle Dave? I am in the process of writing a book which will include a lot more detail and interesting information. If you would like to be on a list to receive email notification about the book, please leave your email address here. Note that the email address will not be given to anyone else. 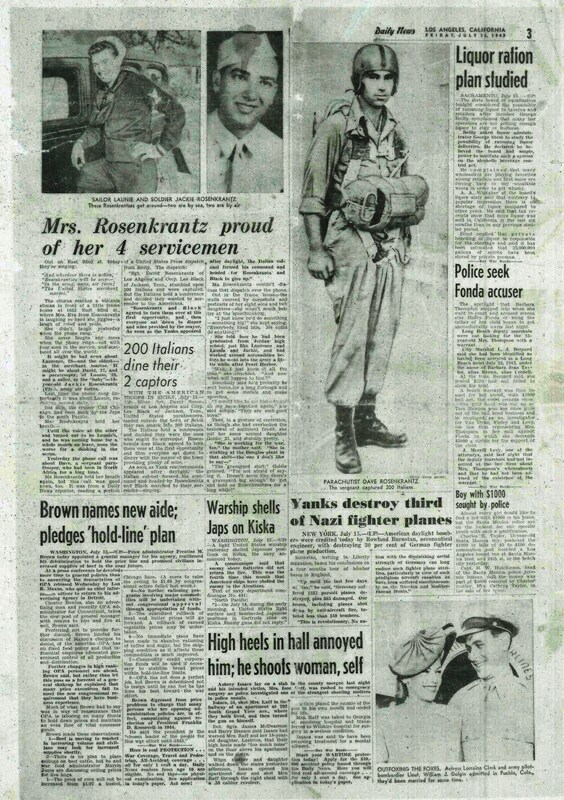 Finally S/Sgt David Rosenkrantz' remains are returned to his home state and he is buried at Riverside National Cemetery with his four brothers who also served in WWII. His remains arrived at Los Angeles International Airport with an honor guard on July 17, 2018, and his funeral was held July 20, 2018. 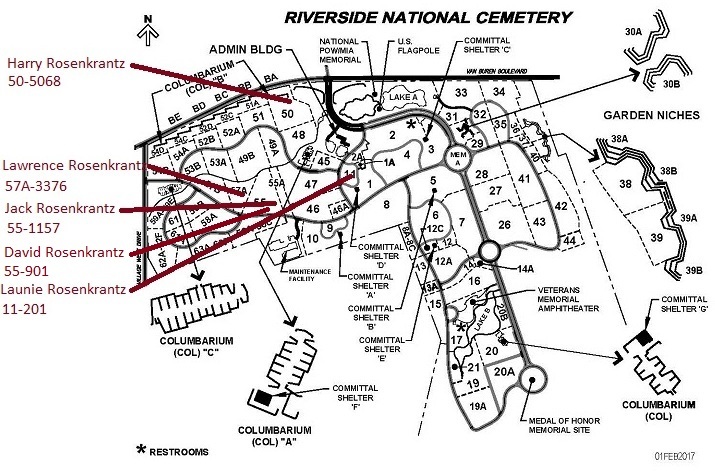 Here is a 6.5 minute video summary of his return home followed by a link to information about David and his four brothers who are also buried at Riverside. 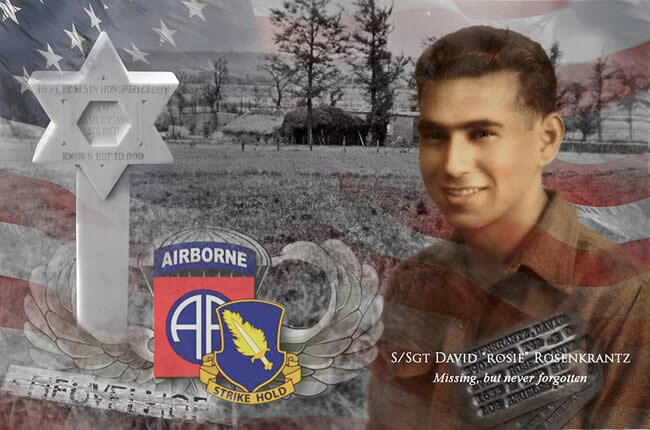 We just found out that after 73 years of being Missing In Action, the Army has identified the remains of my uncle, S/Sgt David "Rosie" Rosenkrantz, 82d Airborne, 504 Parachute Infantry Regiment, H Company. 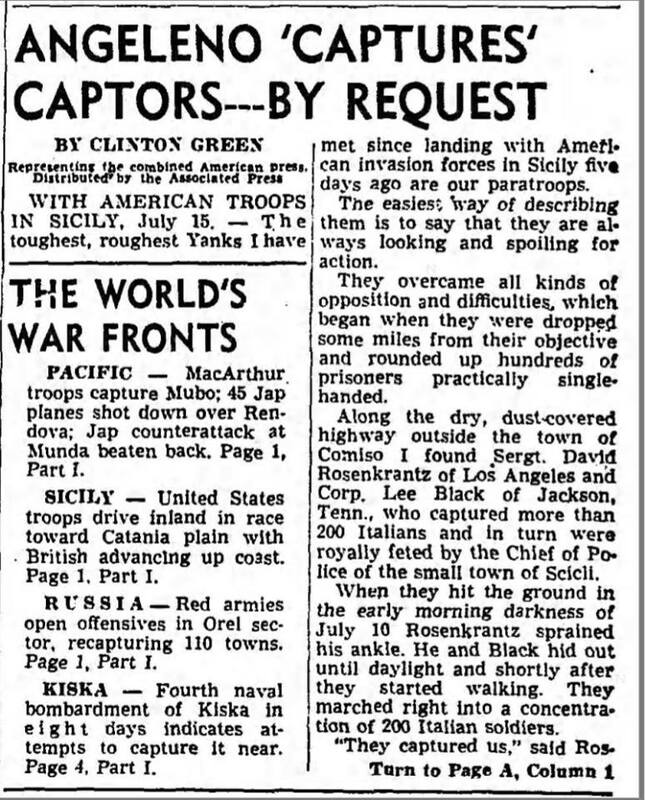 Uncle David was MIA in the Netherlands 28 September 1944 after fighting heroically in WWII starting in Sicily. We won't have any details until the Army Representative flies to California and meets with the family. 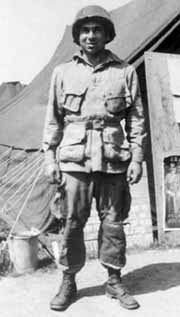 Judy and I have visited the site of his last battle near Groesbeek in the Netherlands three times. It is great to bring some closure to the family. Many thanks to the Dutch people who have helped on the journey of discovering what happened to Uncle Dave!! Thank you to Cooper Beverly-Meise and Frank Van Lunteren for this collage!! Amazing! 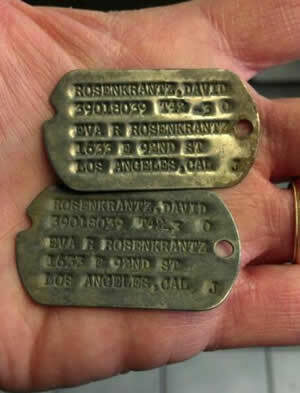 After 68 years we received Dave's dog tags in the mail from the US Army. They were found not long after the war by a farmer and turned in. They got misplaced and were found last year. This January the Army released them to the family and mailed them to us last week. 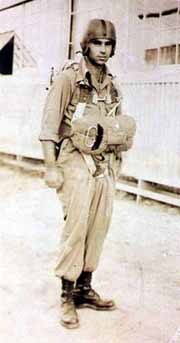 We can only speculate what happened to separate his body from his dog tags and why they were not found together. Many thanks to the people who have been helping us try to figure all this out! Amazing video slide show of all the War Cemeteries. Extremely moving. Letters from Dave with interesting stories or information.